I, like most parents, dread the thought of July school holidays. With the unpredictable weather and limited indoor activities, it is hard to know how to keep your little darlings entertained and, of course you sane, without spending a small fortune. 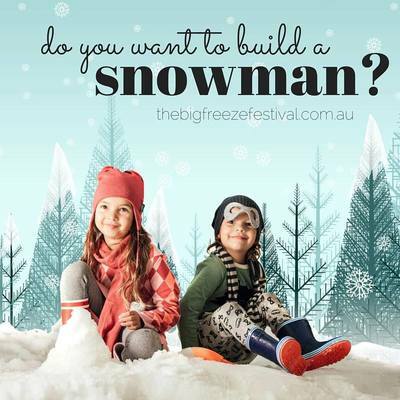 Melbourne Mum, Anna, and her amazing team have come up with an affordable option that is suitable for all the family The Big Freeze Festival. The three G boys and I were lucky enough to be invited to the event launch where we got a taster of what’s to come in this winter wonderland spectacular. The Big Freeze is Melbourne’s very first winter festival that allows families to enjoy the fun of the snow but without the stress of ensuring you have all the right snow gear, snow chains and above, pick the right day. The Festival will have allocated session times between 9am-5pm. There are only a limited number of tickets available for each session. So get in quick to avoid disappointment. Grant Street, Cranbourne. There is FREE parking available on site. 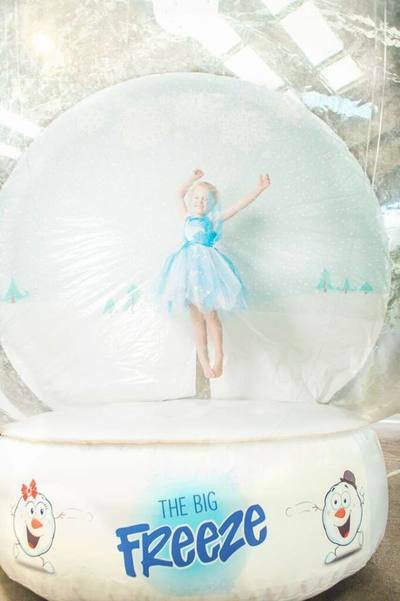 The Big Freeze’s charity partner is Mums Supporting Families in Need. The Festival is encouraging families to bring any unwanted toys, books or clothing and place them in the donation bins at the festival entrance.